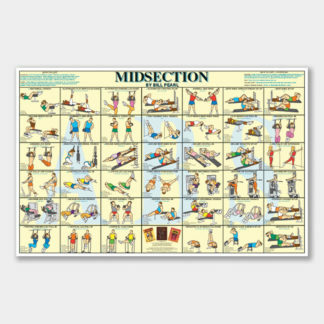 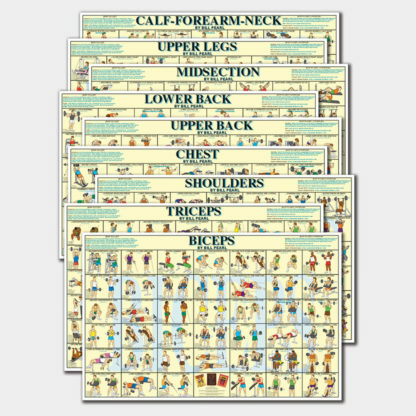 Bill Pearl’s “Pro Series Exercise Posters” set consists of 9 Full Color Posters, each featuring 41 Exercises for a Specific Muscle Group. 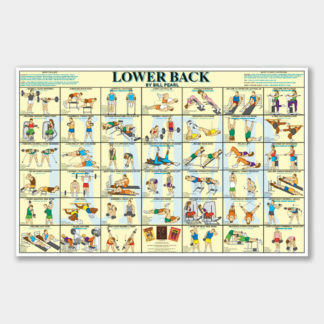 Each poster, designed by 4-Time Mr. Universe Bill Pearl, is laminated with 3-mil vinyl and includes eyelets for hanging. 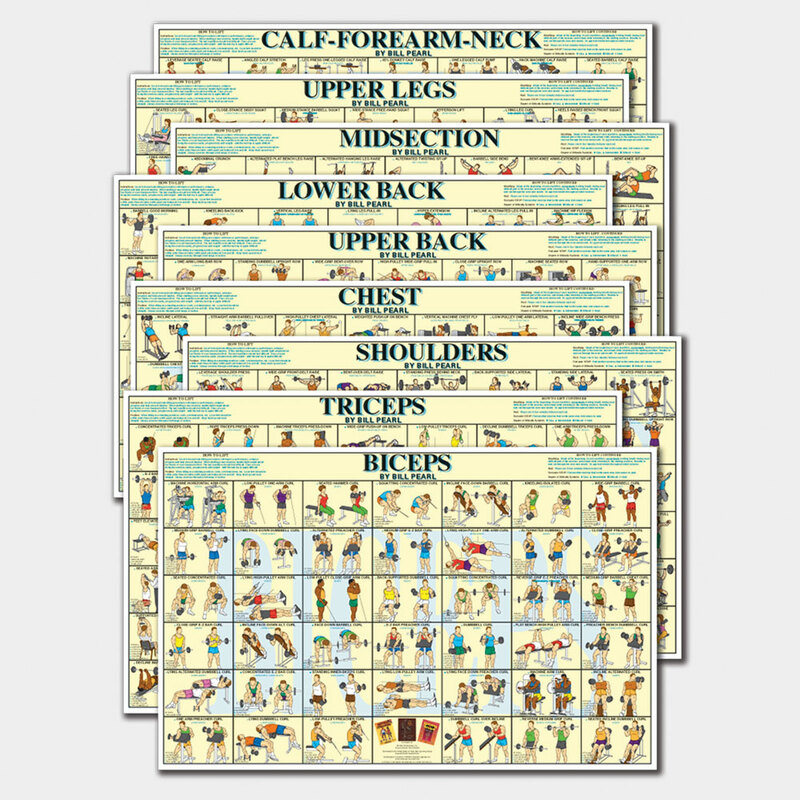 Measuring 36 3/4″ wide by 23 3/4″ high these posters are durable and perfect for home, recreation rooms, schools and gyms.